Her beautiful finish not only guaranteed them the maximum points, but also ended Arsenal Ladies unbeaten run in the season. 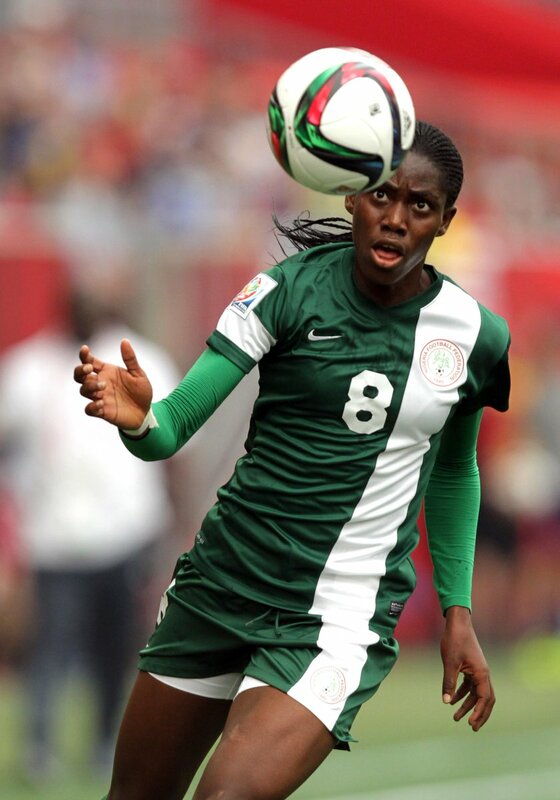 Oshoala has played six time for Matt Beard’s team since her move from Rivers Angels. Fara Williams opened the scoring with a stunning strike from 25-yards out before 41-year-old full-back Becky Easton bundled in a second for Liverpool. While Natalia’s delicate chip pulled one back for the hosts, who were backed by a crowd of 2,061. The result gave the defending champions their first away points of the season and they are now only three points behind the second-placed Gunners, with a game in hand. Arsenal are now five points behind leaders Chelsea after the Blues won 4-1 at home to Bristol Academy.